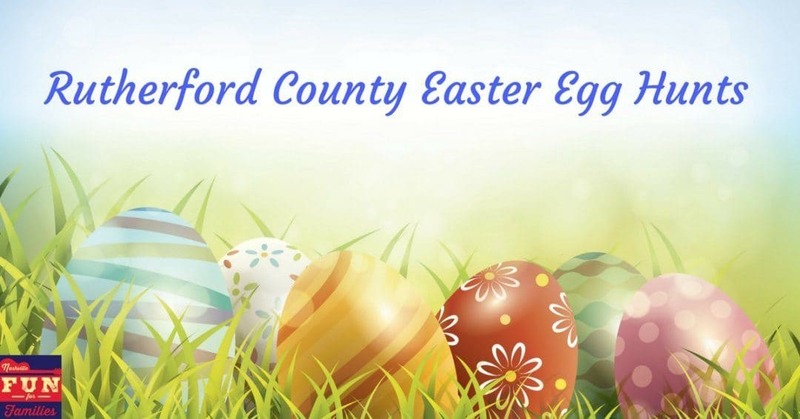 The Easter Bunny is coming to Rutherford County, Tennessee. Make sure you see him at one of these Easter Egg hunts in Murfreesboro, Smyrna, and Lavergne. Egg Hunt for ages 1 to 12 sponsored by the Smyrna Fire Department and Smyrna Gas Department. Easter Bunny available for pictures, make sure to bring a basket. There are also Egg Hunts in Williamson County, Davidson County, Robertson County, Sumner County, and Wilson County. Eat breakfast with the Bunny and get your picture taken too! Get more ideas of things to do from our Ultimate List of Spring fun and find even more Easter fun in our complete Spring and Easter Guide just for Nashville!